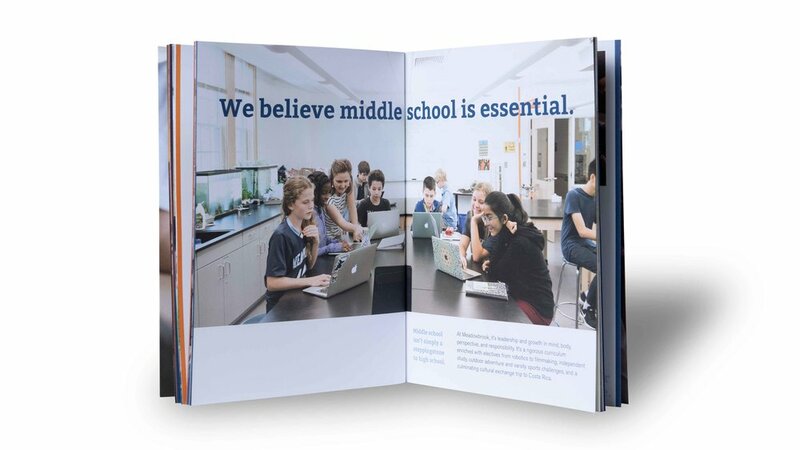 Facing a competitive landscape in the Boston suburbs and significant changes on campus, Meadowbrook turned to Creosote to identify a clear market position, build a larger applicant pool and better align the school’s strengths with the values and expectations of internal and external audiences. 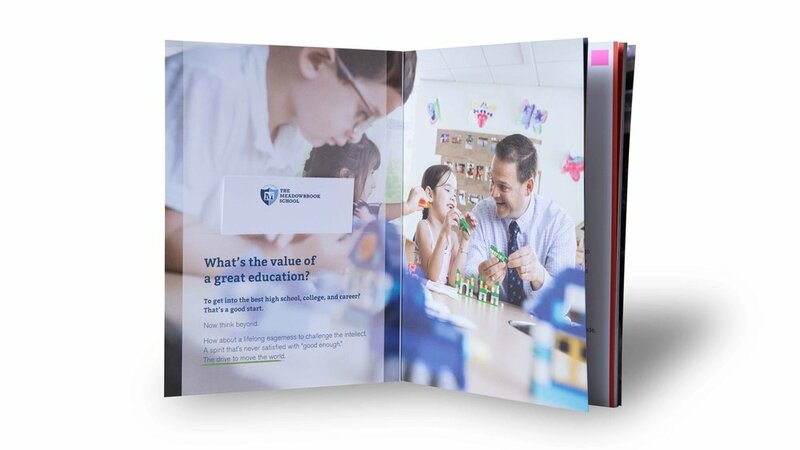 Creosote’s competitor study, discussion groups, brand workshops, quantitative survey, story cultivation, and demographic and geographic research uncovered an education that goes beyond all others so children will achieve the highest levels of individual success. 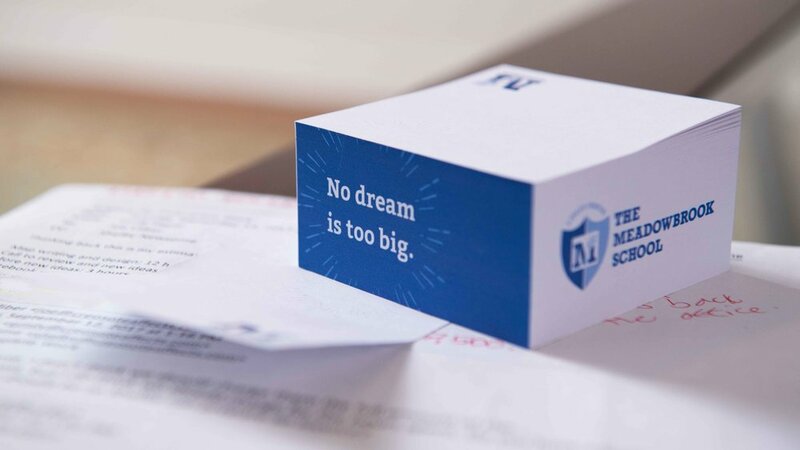 We developed a brand strategy and expression that makes this immediately clear to parents who seek top academics: we go beyond—so they will. This conceptual idea illustrates how Meadowbrook approaches educating children. The idea of going beyond, going farther, doing and thinking more captures every aspect of why and how Meadowbrook does what it does. Launched in the fall of 2018, the school’s position as the best, most rigorous academic program in the area continues to be strengthened. 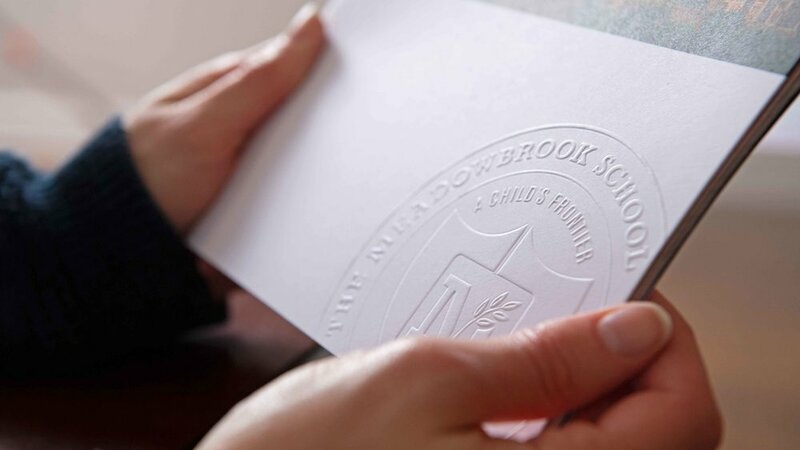 Leadership at Meadowbrook has truly filled the role of a “brand champion”—living the brand through actions and influence. Together, we’re empowering the entire community to positively contribute to branding efforts.